Compounds derived from fire ant venom can reduce skin thickening and inflammation in a mouse model of psoriasis, Emory and Case Western scientists have shown. The results were published on Sept. 11 in Scientific Reports. 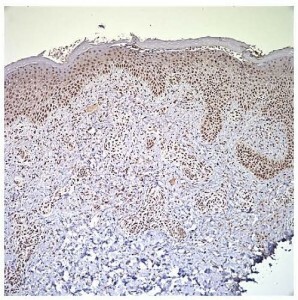 The findings could lead to new treatments for psoriasis, a common autoimmune skin disease. Topical steroids are now most frequently used for mild to moderate psoriasis, but they have side effects such as skin thinning and easy bruising. Solenopsins are the main toxic components of fire ant venom. They chemically resemble ceramides, which are lipid-like molecules essential for maintaining for the barrier function of the skin. Ceramides can be found in many skin care products. Ceramides can act as a double-edged sword, says lead author Jack Arbiser, MD, PhD, professor of dermatology at Emory University School of Medicine. Under certain conditions they can be converted by cells into S1P (sphingosine-1-phosphate), an inflammatory molecule. Evidence is emerging that naltrexone, a medicine used to treat opioid and alcohol abuse, can also control a genetic skin disease that causes painful, itchy rashes and blisters. Two separate brief reports last week in JAMA Dermatology, from Emory and Cleveland Clinic investigators, describe the treatment of six patients with Hailey-Hailey disease. Emory dermatologist Jack Arbiser discovered the anti-angiogenic properties of honokiol, a compound derived from magnolia cones, more than a decade ago. Since then, honokiol has been found to have anti-inflammatory, anti-oxidant and anticancer properties. A paper published Tuesday in Nature Communications from researchers at the University of Chicago shows that honokiol inhibits the mitochondrial enzyme Sirt3, which has connections to longevity.Â Manesh Gupta and colleagues demonstrate thatÂ honokiol canÂ blockÂ cardiac hypertrophy in mice, a finding with possible relevance for the treatment of heart failure. Sirt3 has been linked both genetically to human life span, and until now, the only way to increase levels of Sirt3 was old-fashioned calorie restriction and/or endurance exercise. The authors write: It is believed thatÂ Sirt3 does not play a role inÂ embryonic development, but rather it fine tunes the activity ofÂ mitochondrial substrates by lysine deacetylation to protect cellsÂ from stress…Â To theÂ best of our knowledge, this is the first report describing aÂ pharmacological activator of Sirt3. Emory dermatologist Jack Arbiser has been investigating (andÂ recently patented) inhibitors of the enzyme Nox4 as potential anti-cancer drugs. 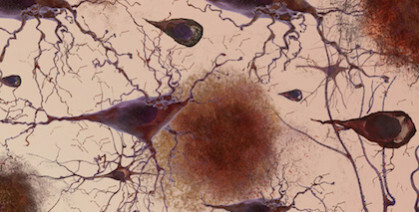 Nox4 has emerged as a potentialÂ therapeutic targetÂ in ataxia-telangiectasia, a rare multifaceted genetic disorder that leads to neurological problems, a weakened immune system and an increased risk of cancer. Ataxia-telangiectasia (or A-T) is caused by a defect in ATM, a sensor responsible for managing cellsâ€™ responses to DNA damage and other kinds of stress. In a February PNAS paper, researchers at the National Cancer Institute led by William Bonner reportÂ that a Nox4 inhibitor can dial back oxidative stress and DNA damage in ataxia-telangiectasia cells, and can reduce cancer rates in a mouse model of the disease. Nox4 wasÂ activated in cells and tissue samples obtained from A-T patients. 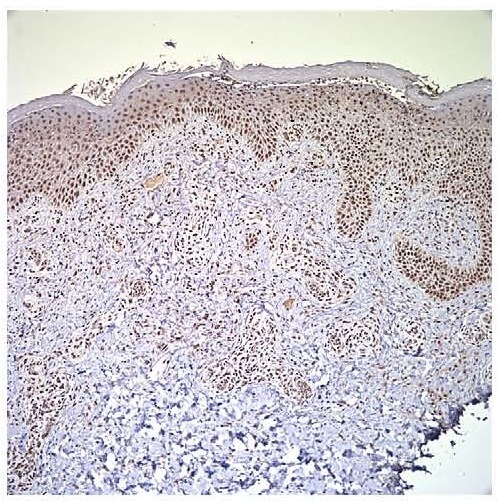 The Nox4 inhibitor the NCI team used, fulvene-5, was originally identified by Arbiser in a 2009 Journal of Clinical Investigation paper as a possibleÂ treatment for hemangiomas, a common tumor in infants that emerges from blood vessels. Honokiol, the versatile compound found by Emory dermatologist Jack Arbiser in the cones of magnolia trees, makes a surprise appearance in a recent paper in Nature Medicine. Jack Arbiser, MD, PhD, and colleagues originally isolated honokiol from magnolia cones. It can also be found in herbal teas. The paper, from Sabrina Diano, Tamas Horvath and colleagues at Yale, probes the role of reactive oxygen species (ROS) in the hypothalamus, a part of the brain that regulates appetite. In the paper, Horvathâ€™s laboratory uses honokiol as a super-antioxidant, mopping up ROS that suppress appetite. Arbiser initiated the collaboration with Horvath after finding, while working with Emory free radical expert Sergei Dikalov, how effective honokiol is at neutralizing ROS. The paper is intriguing partly because itâ€™s an example of a situation where ROS, often thought to be harmful because of their links to aging and several diseases, are actually beneficial. In this case, they provide a signal to stop eating. A recent paper from Andrew Neishâ€™s lab at Emory provides another example, where probiotic bacteria stimulate production of ROS, which promote healing of the intestine. Arbiser notes that since honokiol can increase appetite, the compound may be helpful in situations where doctors want patients to eat more. â€œThis might be particularly valuable in patients who are nutritionally deficient due to chemotherapy and provides a rationale for adding honokiol to chemotherapy regimens,â€ he writes. 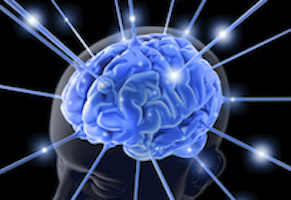 A note of caution: in the Nature Medicine paper, honokiol is infused directly into the brain. Honokiol has been shown to counteract inflammation and slow the growth of blood vessels (important in fighting cancer). Collaborating with Arbiser, Emory endocrinologist Neale Weitzmann has recently found that honokiol stimulates osteoblasts, the cells that build bone, suggesting that it could reduce bone loss in osteoporosis. In the September issue of the Journal of the American Academy of Dermatology, Jack Arbiser and colleagues describe the use of gentian violet to provide some relief to a patient who came to the emergency room with a painful skin irritation. Arbiser is a professor of dermatology at Emory University School of Medicine. A coal-tar dye which is inexpensive and availableÂ over the counter, gentian violet was first synthesized in the 19th century. It has been used as a component of paper ink, a histological stain, and an antibiotic or antifungal agent, especially before the arrival of penicillin. “Clinicians should not forget about gentian violet for immediate pain relief and antibiotic coverage,” the authors conclude in their case report. In addition to its antibiotic properties, Arbiser reports that gentian violet has antiinflammatory effects, possibly because of its inhibition of the enzyme NADPH oxidase and the gene angiopoetin-2.